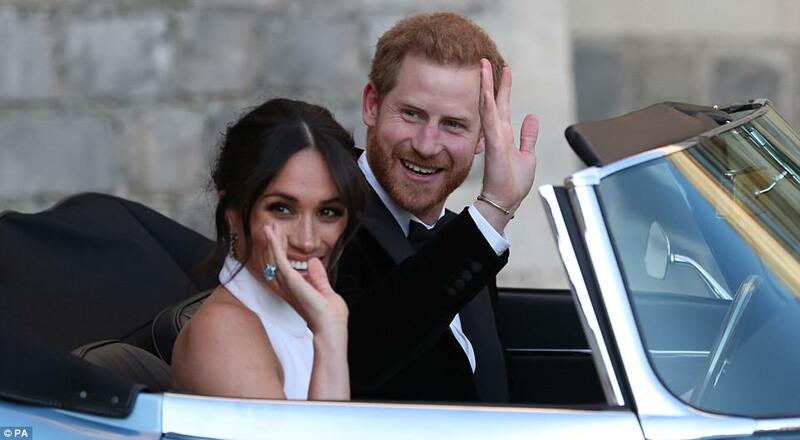 Harry took his new wife out and about after their lovely wedding today's afternoon. 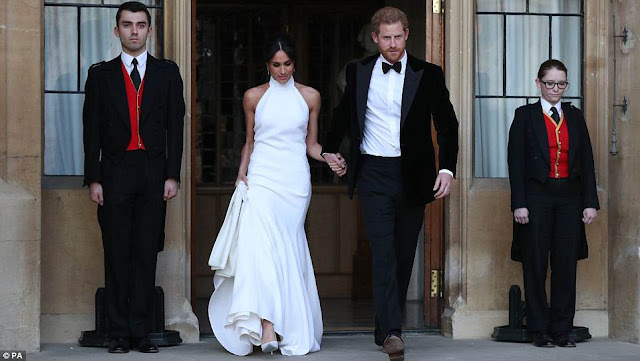 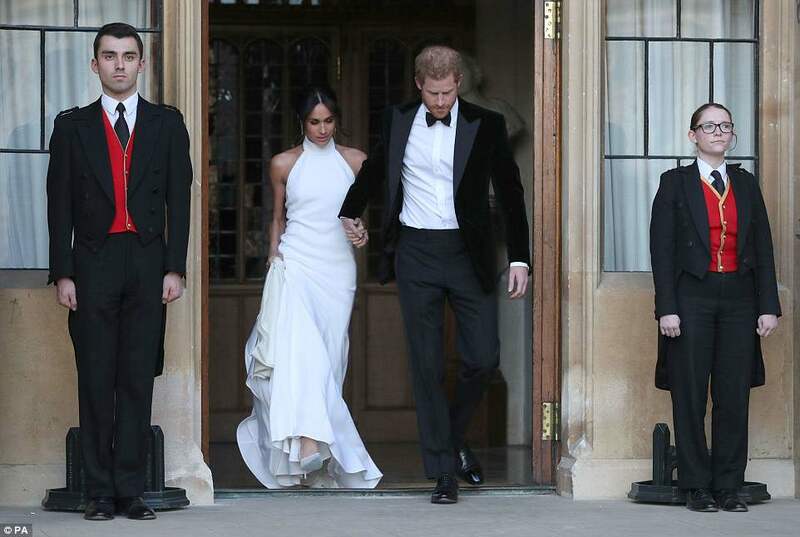 The new Duke and Duchess of Sussex looked smashing as they stepped out for their wedding reception in Windsor this evening. 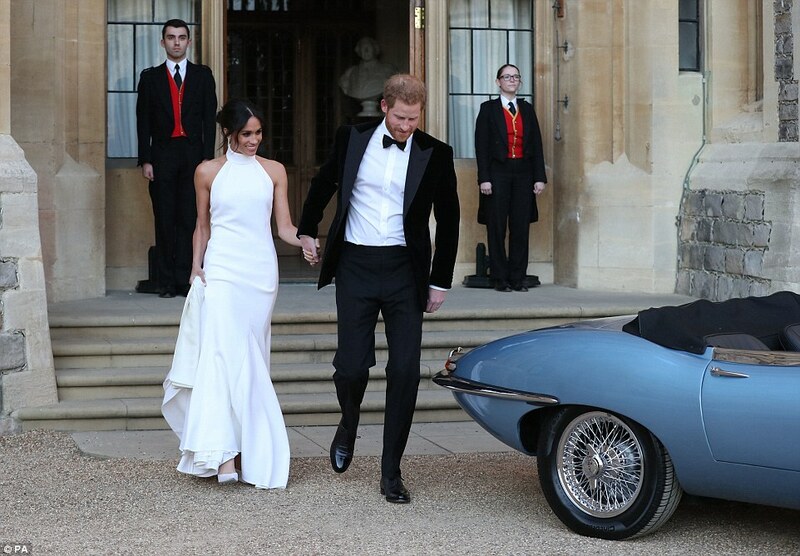 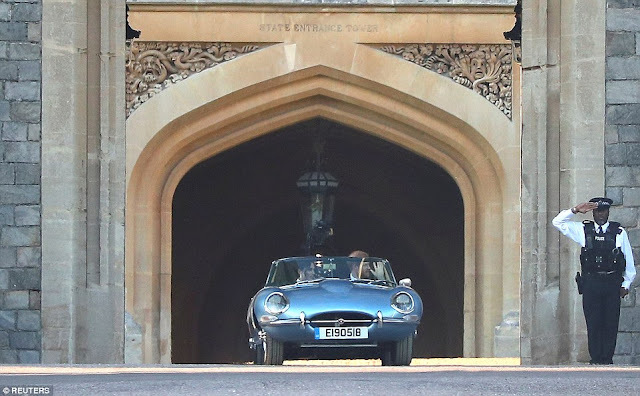 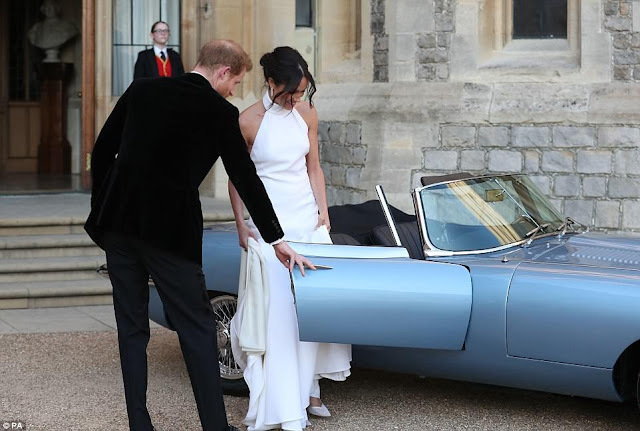 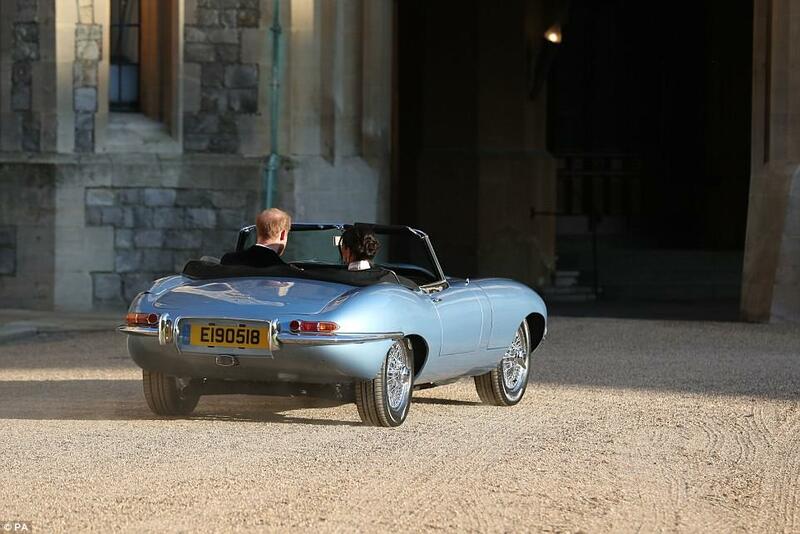 The newlyweds drove in a silver-blue Jaguar E-Type Concept Zero, which was originally manufactured in 1968 and now runs on electricity, to their reception at Frogmore House, a 17th-century venue in the grounds of Windsor Castle.